Princess Fiona is a fictional main character who serves as the female lead in DreamWorks’ animated Shrek film series. She made her first appearance in the first film in the franchise, Shrek (2001), voiced by American actress Cameron Diaz. 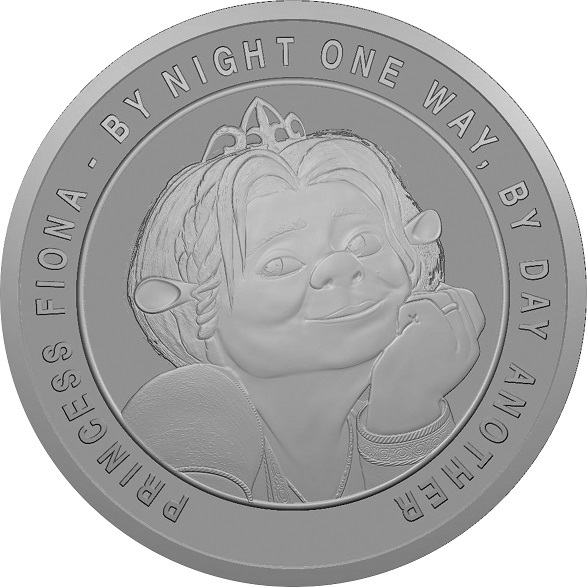 In the first film, Fiona appears as a princess plagued by a curse that transforms her into an ogress each and every sunset. Locked in a dragon-guarded castle for several years until she is ‘rescued’ by an irreverent ogre named Shrek, whom she mistakes for a knight, Fiona is at first eager to have her spell broken via true love’s kiss by Lord Farquaad so that she may remain human, but later she comes to love Shrek.